In December, over 3,000 of you rallied in support in support of a proposed Department of Education (ED) policy that would make ED-funded educational resources a lot more accessible to educators and students around the world. You weren’t the only ones: the Free Software Foundation, Creative Commons, Public Knowledge, the Software Freedom Conservancy, and numerous other pro-user groups spoke up. Together, we all sent a loud message: Team Internet is on the side of open education. Browsing through all 147 comments, a pattern quickly emerges. 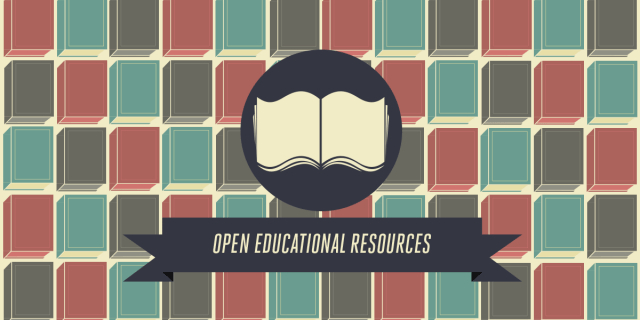 Open web advocates, open education groups, and many education professionals all support the idea of ED-funded resources being shared widely under open licenses (though we might quibble on a few specific details). One group kept confusing us, though: universities. Why were some universities opposing a rule that would directly benefit their students and faculty? When you dig a bit deeper, it looks like universities’ opposition to open licensing has nothing to do with students’ access to educational resources. What’s really playing out is a longstanding fight over how universities use patents—more specifically, software patents. Open education just happens to be caught in the crossfire. Under ED’s proposed policy, those who receive grants from ED would be required to share the educational resources they create under an open license. If ED funds your work, you must share it under a license that allows anyone to use, edit, and redistribute it. The proposal doesn’t name a specific license, but the wording is clearly referring to the Creative Commons Attribution license (CC BY), which most people consider the standard for open educational resources. For software, the license would also have to let people access and modify the source code. The proposal is a huge step in the right direction. The Executive Branch funds billions of dollars’ worth of copyrighted content through various departmental grant programs. Those grants are intended to benefit the public, but most of the public rarely even sees the results, let alone uses them. We’d love to see the proposed policy become a model for similar rules at other government agencies or even an across-the-board federal mandate. The proposed policy also doesn’t disadvantage grantees as much you might think. In the notice, the Department of Education pointed out that relatively few grantees sell or license their grant-funded materials to third parties. It could even give an additional benefit to the grantees that do sell their educational materials: the rule change would provide them with a selection of openly licensed educational works to supplement their own (the majority of which aren’t commercially available elsewhere). The Association of American Universities (AAU), the Association of Public Land-grant Universities, the Association of University Technology Managers, and the Council on Governmental Relations published a statement in opposition to the rule change, and a handful of schools have recycled their talking points. As Lindsey Tepe points out in Forbes, the comments reflect a divide within colleges. Many universities’ leadership opposes the rule change, but university research libraries almost unanimously support it. It makes us wonder whether schools are getting advice from the right people on campus. The AAU statement questions “whether the Department has the legal authority under 35 USC 212 to issue a requirement to openly license all computer software source code developed with grant funds.” This is a reference to a law enacted in 1980, commonly known as the Bayh-Dole Act. Before Bayh-Dole, universities couldn’t apply for patents for inventions created using federal funding; instead, the government itself was responsible for patenting federally funded inventions [.pdf]; when it did so, it would only let others use them under nonexclusive licenses. After Bayh-Dole, a whole industry of university tech transfer offices began to appear. Each tech transfer program has its own policies—some are more flexible and friendly to the inventors’ wishes than others—but they all ostensibly exist to sell or license faculty inventions to third parties. Some of them also assert their patents directly, as the University of Wisconsin-Madison did in its recent suit against Apple. It’s important to note here that the ED proposal doesn’t touch patents at all. Since the proposal covers software, it’s possible that grantees might want to apply for patents for a few of the works covered under the policy. But there’s nothing in the proposal to stop them from doing that: not every open source license that would comply with the policy requires that creators give up patent assertion rights. It’s not surprising—though it is disappointing—to see lobbying organizations representing tech transfer opposing open education policies. Those same organizations have been familiar names in the patent debate for a long time, working against reforms that would limit patent owners’ ability to bring frivolous lawsuits against innovators. In essence, their stance has been that any reform that makes patent litigation less lucrative for plaintiffs will also curb universities’ ability to monetize their patents. They don’t say this, but history would suggest that they’re interested in protecting the value of software patents for whoever the highest bidder is, even if that’s an unsavory entity. Though universities tout technology transfer as a way to fund further education and research, the reality is that the majority of tech transfer offices lose money for their schools. At most universities, the tech transfer office locks up knowledge and innovation, further expands the administration (in a sector that has seen massive growth in administrative jobs while academic hiring remains flat), and then loses money. Here’s the underlying problem: again and again, university tech transfer offices want to have it both ways. They insist that their directive isn’t to make money; it’s to use the market to bring their inventions to the world quickly and at scale. But they—or the lobbyists representing them—oppose the very reforms that would stimulate innovation, not slow it down. These reforms are aimed squarely at patent trolls, companies that exist for no other purpose than to amass patents and use them to demand money from innovators. University opposition is particularly frustrating given that it is purportedly on behalf of offices that are a net loss for most schools. Does Your School Speak for You? Let’s return to the Department of Education policy. We don’t think that a challenge to it under Bayh-Dole would be successful. The proposed rule doesn’t take away any of schools’ current rights under the law. There is a potential risk that grantees could patent an ED-funded piece of software, share it under an open license, and then assert the patent against licensees, essentially creating a trap for licensees. ED could help solve that problem by requiring that the university include a disclosure of any relevant patents alongside the license. Realistically, though, we’re talking about very rare cases here. The vast majority of works that ED funds aren’t (and shouldn’t be) patentable. It’s frustrating that software patents are the issue that’s holding up a common-sense policy change. On the other hand, this argument will continue to come up every time we talk about open licensing mandates for publicly funded works—including, hopefully, ones in departments that fund a lot more tech than ED does. Let’s get it right this time. The public should be free to use publicly funded works without copyright, software patents, or any other entanglements getting in the way. A strong open licensing policy at ED—without any sort of carveout for software—will set the right standard for future Executive Branch licensing mandates. When schools consistently oppose policies that stimulate open access and innovation—and when the drivers of that opposition contribute very little to those schools’ academic lives or financial sustainability—students and faculty should start asking why. Elliot Harmon wrote this for Electronic Frontier Foundation. Elliot is an activist at EFF, focusing on patent law and intellectual property issues. He’s interested in ways that IP law can accelerate innovation rather than hinder it.